The black Vulcan Series Rane Seventy-Two DJ Mixer Carrying Case from Odyssey is a watertight, dustproof, impact resistant case that is made of a high-strength polymer resin, which provides the ultimate in protection for your gear. It can be used to store or transport your gear to and from gigs. 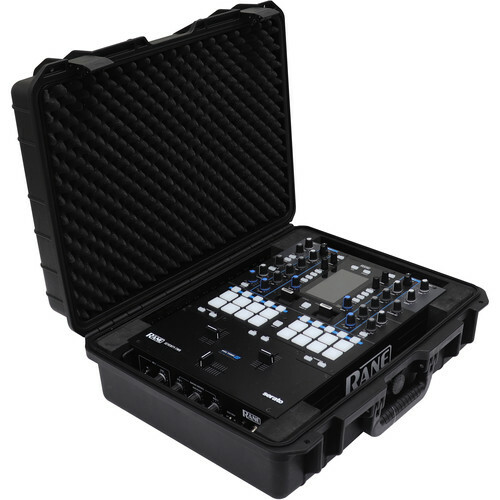 in addition, the Rane Seventy-Two DJ Mixer Carrying Case features a comfortable carrying handle, a pressure-release valve, and two padlock holes.